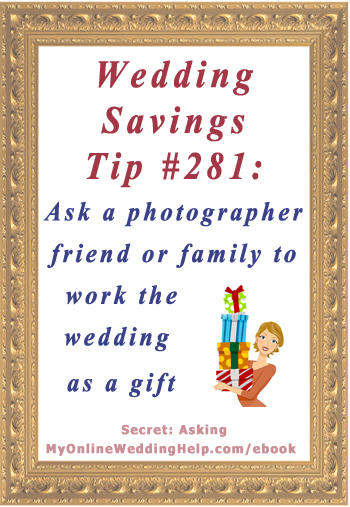 Ask a photographer friend or family to work the wedding as a gift. Then pay for the prints yourself. This tip is from the Dream Wedding on a Dime; 7 Secrets for the Budget-Savvy Bride ebook.